From 1945 to Today. Three Generations of Leadership. Walter Simpson opened the door to a new company, Twin City Printing. 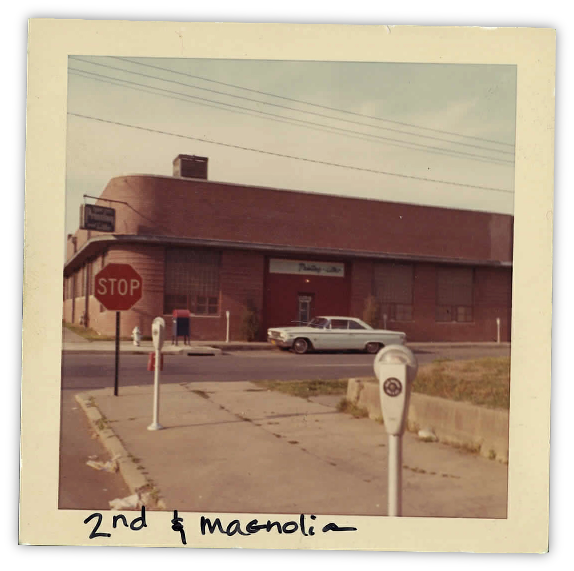 Located in downtown North Little Rock on Magnolia Street between 2nd and Washington Avenue and armed with a collection of hand-set type, the company began growing. 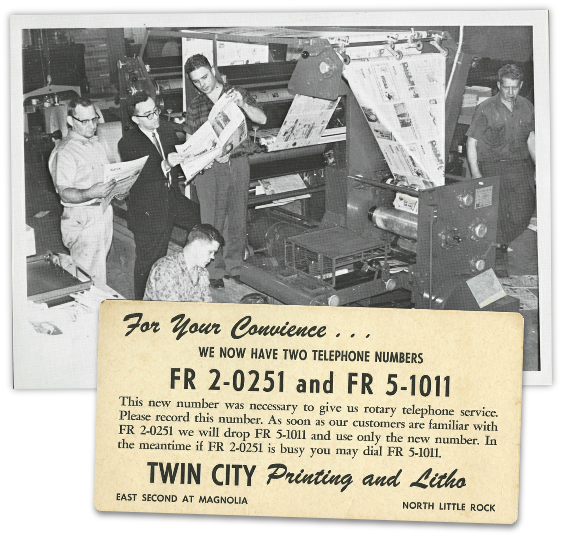 By the early 60’s Twin City Printing had become an industry leader in the understanding and application of new printing technologies. Walter Simpson pioneered the first web-offset printing press in Arkansas and played a key role in the development of the North Little Rock Times newspaper. 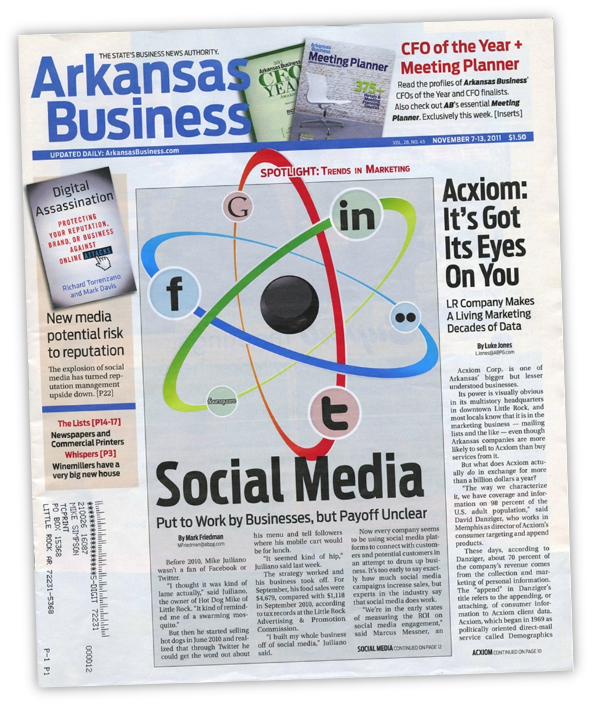 In 1968, the company relocated to its current location at 4150 East 43rd Street in North Little Rock. The 28,000 square foot facility now houses the latest in offset printing applications. Modern color printing arrived in North Little Rock in 1993, when Twin City Printing acquired a Komori 4 color press. 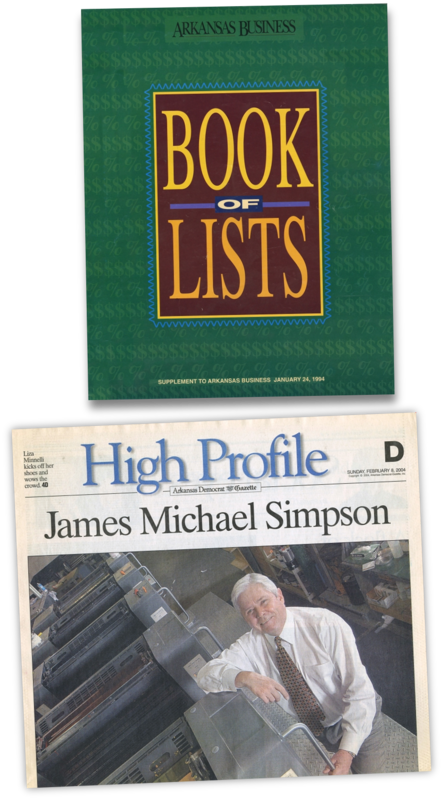 The company adapted to the changing nature of business of the new Millenium, adding enhanced print options in 2001 and incorporating mail services in 2005. 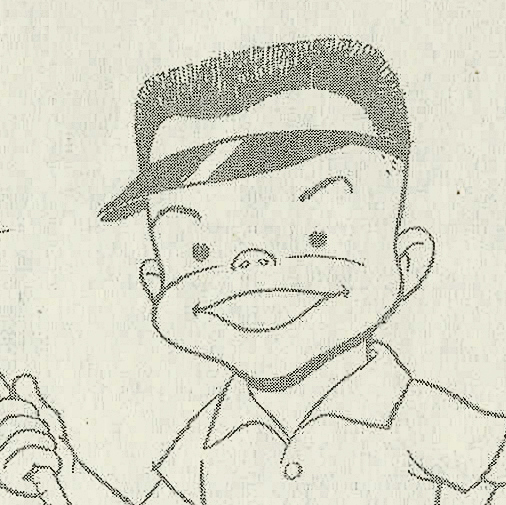 The same year, the Kodak NexPress was added to the mix. It was one of the industry’s first true digital production color systems. Twin City Printing’s mid-2000’s investments in lean, efficient processes and equipment unwittingly primed the company to survive the 2008 Recession. From a combination of lean business practices and a lot of luck, Twin City Printing was able to keep its printers running. 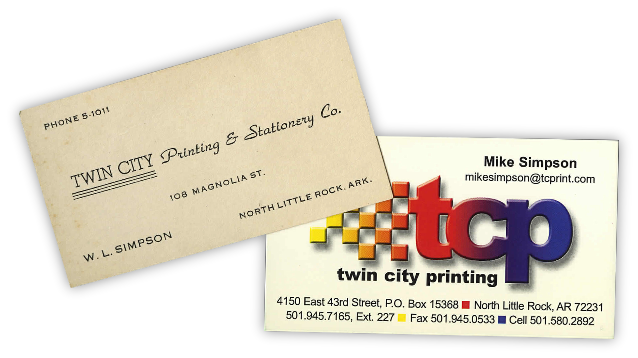 In 2010, Mike Simpson announced that Twin City Printing would now be TCPrint Solutions. The change in the name is descriptive of the future of business as a solutions based marketing company. TCPrint Solutions offers short-run digital printing, wide-format printing, packaging, fulfillment and personalized variable data mailing services. Twin City Printing has a strong commitment to the community. The roster of organizations Twin City Printing has helped is extensive – too long, in fact, to list succinctly. Most have received help with printing offered at either substantially reduced rates or no cost at all. As officers and directors of various organizations, the Simpson family’s commitment goes far beyond its financial contributions.